Driving an 18-wheeler or other big rig is a pressure-filled job. Trucking companies insist deadlines be met. Customers impatiently wait for delivery of their goods. The stress on a driver to arrive at his or her destination sooner rather than later may account for the multitude of truck accidents along Interstate 24 and other western Kentucky and middle Tennessee roadways. At the Lucius Hawes Law Firm in Hopkinsville, our truck accident attorneys provide quality legal representation aimed at securing the maximum compensation for our injured clients. As a truck accident law firm for more than three decades, we know how to achieve the results our clients need to move forward after a serious accident. No matter the cause of your truck accident, you can rely on our lawyers to advocate for you when dealing with trucking companies and insurance companies. It is our goal to achieve a full and fair settlement for the damages you’ve suffered. Contact us to schedule a free consolation with an attorney experienced in handling cases involving tractor-trailer accidents. All personal injury cases are on contingency, meaning court costs and case expenses are your responsibility only if we win or settle your case. 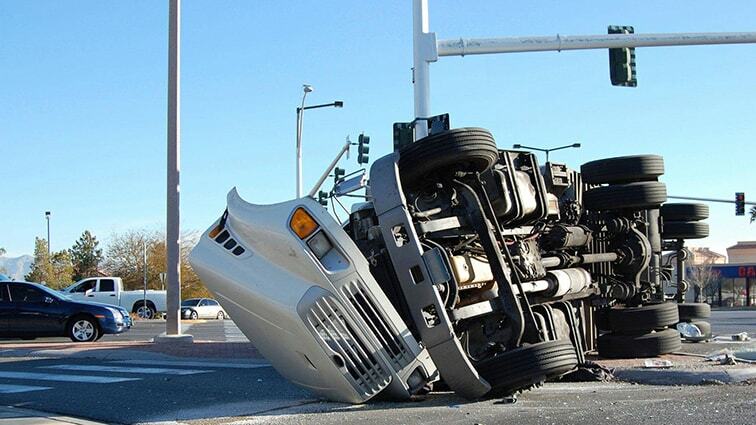 Truck accidents can have many causes, leaving many parties liable. We investigate your accident, gathering information to determine what happened and why. Federal regulations require trucking companies to maintain maintenance records, driver log books and training records that can offer useful clues if they are accurate. In addition, tractor-trailers carry black boxes that hold vital information and have satellite locators that show driver start and stop times. Few things are more devastating than having to face a catastrophic injury resulting from a truck accident. It can be hard to know where to turn for help. At the Lucius Hawes Law Firm, we draw upon our years of experience working with thousands of accident victims to help you make informed decisions about your situation and legal options. Contact us today to schedule a free consultation and case evaluation.